We're happy to welcome our two new interns Malina and Patrick both from the University of Southampton on three month legal and property research analyst internships. We are pleased to welcome our two new recruits to E3 Consulting from the University of Southampton as part of the Excel internship programme. Malina is a first year European Law Student and Patrick is a third year History and Politics student and both will be undertaking a three month legal and property research analyst internship. 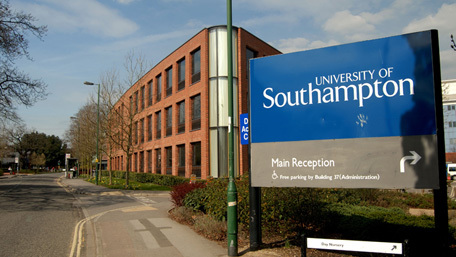 Engaging interns helps to build further E3 Consulting's relationship with the University of Southampton. This is part of our wider commitment to externally engage and collaborate with external organisations and businesses in the South East and further afield. Malina and Patrick will continue supporting further to the positive work carried out by our two previous Southampton interns from last year - a law graduate and an English and History student who subsequently continued on as a Brand Ambassador for E3 Consulting on campus. As a business we are very actively aware of the benefit and value of fresh ideas and different perspectives which interns bring into our business. This helps us evolve the business by supporting the E3 team in achieving key objectives. We hope that they will both find their internships to be an insightful and enjoyable experience and help them both develop a varied range of transferable skills which, they can take forward both for the rest of their time at university and towards their future careers.